A new modelling view to change your Power BI life! 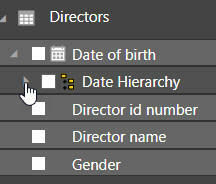 The symbol shown appears to the left of any date field automatically. 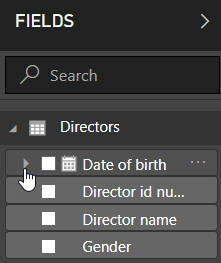 You can choose whether to show the year, quarter, month and/or day for this field. This chart just shows the number of films by quarter (disregarding the fact that they were released in different years). Unless you want to create time-intelligence functions (for example comparing this year's sales with the previous year's), there's ever less reason now to add your own calendar to a data model.